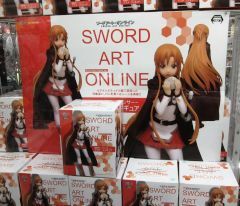 Some of the anime related ufo catcher items that were available in December are as follows: Sword Art Online figures, Gochuumon ha Usagi desuka goods, Monogatari x Madoka Magica figures, Pokemon goods, Star Wars goods. 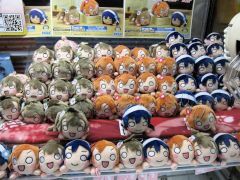 There were many new ufo catcher items for Love Live that were available in December 2015. 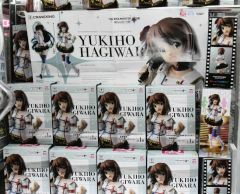 There were many ufo catcher items for iDOLM@STER that were available in December 2015. 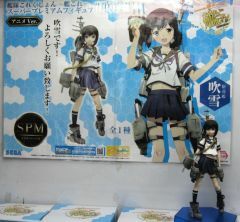 There were many ufo catcher items for Kantai Collection that were available in November and December 2015. 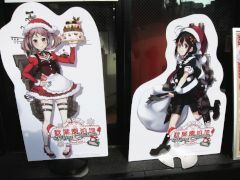 In December 2015, there was a special shop for Kantai Collection goods at Sega's Akihabara Gigo game center. The Love Live Winter Campaign at the Sega Game Centers began on 12/12. This campaign will run until February 2, 2016. 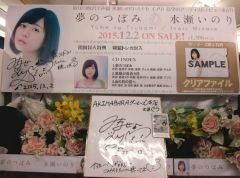 Minase Inori "Yume no Tsubomi"
The debut single by Minase Inori went on sale December 2. 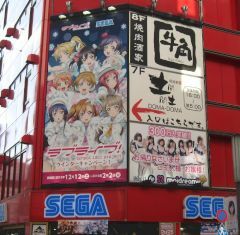 At the beginning of December, the large advertisement wall at Sofmap had advertisements for Love Live.